Desigual kids ZENON coat. $179.95. FW2018. Angel has new Desigual for kids from the Fall-Winter 2018 collection. Faux-fur-lined hoodies, puffy jackets with zip-off sleeves, dresses, T-shirts and more for girls and boys, aged 18 months to up to 14 years old. Some of the bigger teen sizes will also fit extra-small women who have trouble finding Desigual in adult sizes that fits. Desigual kids ZENON coat. $179.95. Desigual kids RUPIT jacket with zip-off sleeves. $179.95. FW2018. Desigual kids RUPIT jacket. $179.95. Desigual kids EPICURO sweatshirt with reversible sequins. $95.95. FW2018. Desigual kids EPICURO sweatshirt. $95.95. Desigual kids RINGO T-shirt. $49.95. Fall-Winter 2018. Desigual kids RINGO T-shirt. $49.95. Desigual kids RINGO T-shirt. $49.95. FW2018. Desigual kids SPRINFIEL T-shirt. $59.95. FW2018. Desigual kids SPRINFIEL T-shirt. $59.95. Desigual kids FLOR dress. $95.95. FW2018. Desigual kids PORT LUIS dress. $75.95. FW2018. Desigual kids PORT LUIS dress. $75.95. Desigual kids NUAKCHOT dress. $95.95.FW2018. Desigual kids NUAKCHOT dress. $95.95. Desigual kids BLONDIE dress. $75.95. FW2018. Desigual kids BLONDIE dress. $75.95. Desigual JEFFERSON cotton dress. $89.95. Reversible sequins on the bag, which is a dress pocket. Fall-Winter 2018 collection. Desigual JEFFERSON cotton dress. $89.95. FW2018. Desigual kids POMO hat with reversible sequins. $35.95. FW2018. Desigual kids POMO hat. $35.95. FW2018. Desigual LENNY cotton T-shirt for the video game player. $49.95. FW2018. 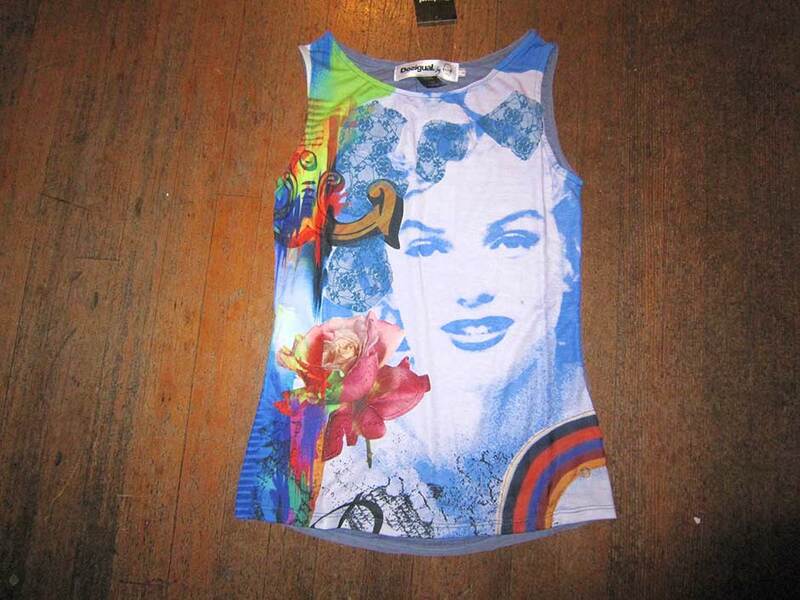 Desigual LENNY T-shirt. $49.95. FW2018. Desigual PARRAGA soft pink chunky knit pullover sweater. $115.95. FW2018. Desigual PARRAGA pullover. $115.95. FW2018. Desigual MOINES kids T-shirt with removable furry friend. $69.95. FW2018. Desigual MOINES kids T-shirt. $69.95. fw2018. Desigual PLAY cotton T-shirt with reversible sequins – the Lego man can change from a policeman to fireman. $69.95. FW2018. Desigual PLAY T-shirt. $69.95. FW2018. Desigual kids AUSITN raw denim dress with hearts. $95.95. FW2018. Desigual kids AUSITN dress. $95.95. FW2018. Desigual kids BATON cotton dress. $89.95. Desigual kids BATON cotton dress. $89.95. Fall-Winter 2018 collection. Desigual kids BATON dress. $89.95. Desigual kids JOSEBA cotton T-shirt. $35.95. FW2018. Desigual kids LETICIA cotton T-shirt. $49.95. Sizes three month to 2 years. Desigual kids LYON T-shirt with reversible sequins. $59.95. Desigual kids LYON T-shirt. $59.95. Desigual kids BORGES cotton sweatshirt. $105.95. Desigual kids BORGES sweatshirt. $105.95. Desigual kids ION cotton T-shirt with reversible sequins. $69.95. Desigual has teamed up with Marvel to make a number of new shirts for kids for Fall-Winter 2018. Desigual kids ION (Marvel/Avengers) T-shirt. $69.95. Desigual kids ION T-shirt. $69.95. FW2018. Desigual is characterized by its different, optimistic and colorful designs. The Barcelona company began operating in 1984. La Vida es Chula (Life is Cool) is Desigual’s way of looking at fashion and life. It’s an enthusiastic, positive and optimistic message that nails its colors to the mast. This entry was posted in Desigual, Desigual for kids and tagged Desigual boutique in Gastown, Desigual for kids Fall-Winter 2018 collection, Desigual in Vancouver Canada, La Vida es Chula (Life is Cool! ), We ship Desigual in Canada. Bookmark the permalink.